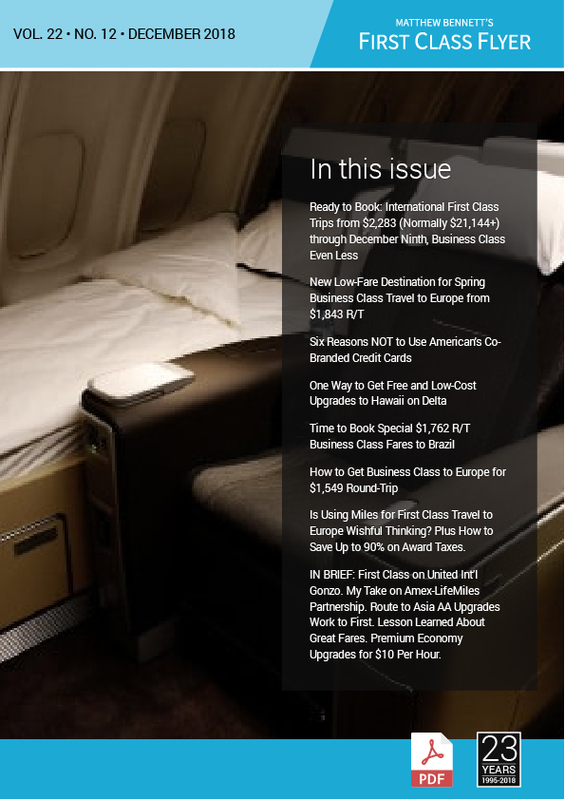 Is Using Miles for First Class Travel to Europe Wishful Thinking? Plus How to Save Up to 90% on Award Taxes. IN BRIEF: First Class on United Int’l Gonzo. My Take on Amex-LifeMiles Partnership. Route to Asia AA Upgrades Work to First. Lesson Learned About Great Fares. Premium Economy Upgrades for $10 Per Hour.